Local man and van removal company based in Manchester. Rated 5 Stars on Trustpilot. Call 0161 773 3266 for a free quote. Our Services include: Self Storage, Mobile Storage, Packing services, Purchase Boxes and packing Materials, Commercial / Business Storage, Collection and Delivery and 24/7 Access. Talk to one of our experienced storage consultants. As a leading force in the removals and storage niche in London, Mega Removals is the best choice you can make when considering to make a move to your new house, flat or office. We provide a professional home removals service covering South West London & surrounding areas. All our experts are fully trained and insured to carry out the service with piece of mind. Edwards European Moving provide removals to Europe by road for part or full loads to all European countries - 4 wks free storage prior to shipping. Weekly removals to Spain. The Best Removals in Coventry company offers cheap house removals, furniture removals, storage, packing, office relocation, and man with van removals services in coventry. Schepens Removals & Storage, serving Romsey, Salisbury, Bournemouth, Southampton, Winchester, Lymington, Lyndhurst, Andover & other UK destinations. 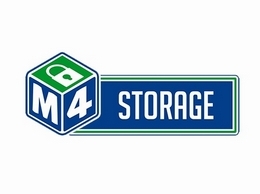 1st Self Access Storage offer secure self storage units in the UK at our Salisbury, Birmingham and Cardiff facilities for business and domestic use. Edinburgh Self Storage offers storage units at the Jenners Depository. Self storage space in Edinburgh made easy, at the best price. Call and reserve yours. AM Moving Company, one of the most trusted moving companies in Dallas, provides local, long-distance moving and storage services for your home and business. Removal Company in Brentwood provide domestic and commercial removal services in Brentwood & Essex. For office, home, flat or furniture removals call the specialist man & van today. Get your free quote today! Providing nothing but outstanding removal services in Salisbury, we offer everything from Packing to a simple removals. Apex Removals London provides house removals, office moving, and packing services in London. Our removal company covers every postcode in London. Watson Removals Surrey is a professional removal company offers a local house and office removal service in Surrey and the surrounding areas 7 days a week.